Avatar Activation is the key to awakening your multidimensional self. There is no coincidence that you are here reading this right now. The biggest problem is, there are many variables that were put in place many thousands of years ago to stop us from achieving ascension. Our spiritual evolution. Your first step in the process of achieving ascension is to experience first hand the release of various energetic seals and implants that are holding you back in ways you may not realize. Awakening your Avatar, your multidimensional self is about self-actualization, realization and learning that we are much more than just human beings. We are energetic beings with limitless potential. Unfortunately, we have been programmed to believe that we are something else. When we learn how to live outside of the matrix, amazing things begin to happen. Read through the sections below for specifically designed packages, or choose individualized sessions according to your needs directly through the menu system. For those whom are interested in removing hundreds of various types of energetic distortions that create discordance on your mind, body, spirit and your daily life. For those whom are interested in removing energetic distortions and activating their DNA templates to create dramatic shifts in their life on an energetic and physical level. For those whom are interested in removing energetic distortions, activating DNA templates, receiving powerful activations and clearings through the Lightarian energies. Not Ready To Experience One Of The Three Systems? 15D Auric Clearing Session: The clearing and removing of various auric attachments, imprints and energies that are affecting you in ways that creates severe limitations of the spiritual and physical nature of the person in question. Often times auric distortions create repetitive cycles of feeling stuck or experiencing the same circle of events that keeps happening again and again. This causes the attraction of the wrong types of energies that affect your daily life. 15D Karmic Clearing Session: The clearing and removing of various karmic attachments, imprints and energies that are affecting you in ways that relate to what has been inherited through your parents and ancestors through the process of birth. These karmic distortions greatly hold us back from experiencing our true multidimensional self as many struggle day to day with lack and limitations concerning prosperity, abundance and love. 15D Energetic Cord Cutting Session: The clearing, removing and cutting of various energetic and ancestral distortions that are related to negative and unhealthy cords that drain huge amounts of energy as a means of control. Most people do not understand the concept of when someone is on their mind, it usually means that there is an energetic cord that has been created and the negative ones mostly attach to the chakras which creates even more discordance. 15D Auric & Chakra Clearing Session: This sessions is identical to the 15D Auric Clearing Session, however the added benefit is that it clears the various attachments, imprints and entities within your chakras and it also activates your 15th dimensional chakra system. Please keep in mind that you may not be ready yet spiritually to merge your chakras into your core star and in this instance this will help you on your path of self-actualization. J-Seals & Unnatural Implants Removal Session: The clearing and removing of the 7 Jehovian Annunaki Seals that have been placed into the Earth’s crystalline grid system over 200,000 years ago by various invader races. This session also comes with a 15D Auric & 15D Karmic Clearing Session as well. This will clear many energetic distortions that create much discordance within our energy system. Matrix Unplugging Session: The clearing and removing of hundreds of energetic distortions that create major discordance, chaos, drama, anger and other negative things in your life. This is a very big energetic cleanse that will create dramatic shifts in your energetic and physical body, as well as, your daily to day life. Chakra & Kundalini Removal Session: The gathering and merging of the energies of each chakra one at a time into your core star which is located above your solar plexus where your old heart chakra will be. Without having the restrictions of your chakras, you will no longer experience energy drain from your environment and people, and you will have much faster and direct access to your higher self and source energies. This is a very important step in your spiritual evolution though many are not ready for this and just reading this sentence will experience great resistance through the deeply seated programming that you have been subjected to your entire life. Things are not the way they seem. 12 Strand DNA Activation Sessions: The repairing of distorted fire letters within your Angelic Human 12 Strand Diamond Sun DNA blueprint. This will activate DNA strands 1 – 12 (or higher if you are Indigo) and will allow you to embody 12 dimensions of consciousness or more within your body. These activations will create dramatic shifts into your daily life as they are designed to raise your consciousness level, re-code, re-wire, and re-structure your entire light body, preparing it for the ability to handle more light (information) and energetic system upgrades. Golden DNA Activation Sessions: The activation of the 144,000 golden strands that are found within your 12 Strand Diamond Sun DNA blueprint. Through the these activations, you will experience higher states of consciousness as your light body is instructed to accrete much higher levels of liquid golden light. This session is performed after activating one’s Angelic Human 12 Strand Diamond Sun DNA blueprint. 12 Strand DNA Expansion System: This system is designed to dramatically raise your frequency and expand your DNA and consciousness even further. It is for existing clients who’ve already received at least a J-Seals & Unnatural Implants Removal/Matrix Unplugging Session and 12 Strand DNA Activation Session. Golden DNA Expansion System: This system is designed to dramatically raise your frequency, expand your DNA and consciousness, and allow you to accrete much higher rates of liquid golden light. It is for existing clients who’ve already received at least a J-Seals & Unnatural Implants Removal/Matrix Unplugging Session, 12 Strand DNA Activation and Golden DNA Activation Sessions. Total DNA Expansion System: This system is designed to exponentially raise your frequency because you are receiving multiple 12 Strand DNA and Golden DNA Activation Sessions. it is for existing clients who’ve already received at least a J-Seals & Unnatural Implants Removal/Matrix Unplugging Session, 12 Strand DNA Activation and Golden DNA Activation Sessions. Lightarian Ray Program: The Lightarian Ray Program attunements accelerate the unfolding of and stimulate breakthroughs in six important phases of spiritual and energetic development. They are received as single attunements by both clients and those who wish to be trained as teachers with no prerequisites. Lightarian Clearing Program: This series of attunements expands upon the benefits of the Lightarian Clearing Ray to provide an amplified approach to clearing for those that wish to go even deeper. The program works to clear and release the same 6 kinds of patterning, focusing on each of them one at a time. These include Path Clearing, Birth Pattern Removal, Template Clearing, Attachment Removal, Lineage Clearing and Veil Removal. You may receive these attunements as a client or be trained as a teacher. It is also important to know and understand that the chakra system is a slave system that was designed and put in place by ET’s many eons of lifetimes ago. They are the reason for many entity attachments, discordance and chaos throughout your life. There are many that are not ready to have them removed, if you are ready at this time, I can remove them for you through an ancient process of chakra & kundalini removal. Many more attunement systems coming to aid you in your spiritual evolution. Hi, Jaye, i wanted to say the sessions where very transforming! Jaye is very gifted! I am 100% satisfied with my results. My whole life has shifted and filled with abundance. The experiences I had can not be put into words. Totally multi-dimensional! I was always experiencing being completely wiped out after a day spent at an event surrounded by many people. A few days after the kundalini and chakra removal session i had to go to one of these large events. I was fine the whole day and even after taking 6 different public transportations i was absolutely fine and full of beans!! !😉 i recommend doing this session. Even if i did not feel anything or any changes during the session i noticed a massive difference in the results. Well, first of all, during the session I was very aware of being under the care/knife so to speak, like I was laying on a hospital bed and there were caring Dr’s working on me. My spiritual insight saw this. It was from a distance yet not, which is exciting. My world has changed in powerful ways. Heart and mind, clarity and purpose within have all grown well. Thanks Jaye. Jaye is a very powerful healer and I felt the intensity of his energy in our first session. Each time we connected, it felt like he was in the very same room. During our sessions I felt powerful tingling, activation, and swirling all throughout my body. I also saw many colors and shapes, and most definitely felt the shifts physically, mentally, spiritually, and emotionally. It has been a few weeks now and I am a completely different person. My resilience is unbelievable, things that could make me break down for weeks last only hours now. I feel more aligned with truth now than ever before. It has made a huge impact in how I live my life, the people I surround myself, and the choices that I make. Breaking old patterns and walking away from what no longer serves me is so much easier now. I feel a stronger sense of inner strength and inner peace. I feel like so much is still shifting for me and still unfolding. I am so thankful for Jaye’s gifts and his assistance though this transition and transformation. He is a master at what he does and I highly admire his abilities and the magnitude of his healing energy. A big thank you and blessing to Jaye. activation and few other healings. On my first session I didnt feel anything and I asked Jaye to refund me as I felt this is not for me !!! Jaye was so kind to accept that and told me that I need to trust in the system and give it a time and if Im still not happy he will refund me. Just in a week time from my first session I felt the changes in myself and mylife. I had such a great experience that I have my whole family getting sessions from Jaye . I did a combinations of services with Jaye and feel overall better feelings. I did the charkas removal, j steal implant removal, dna activations (both regular and golden), energetic attachments removal, and lightrian clearing program. Everytime I did a session with him, I feel like my body need adjust before I move to the next session. I do recommend it to anyone who needs better themselves and those around them. Thank you Jaye for your service. I plan on doing more sessions with him. Jaye is a wonderful healer. I have recommend him to my family and right now 4 members of my family are his client. Myself an my family have used his Avatar activation system, golden DNA activation, J Seal removal, kundalini remoal and cord cutting. We all have got Amazing results and different experiences. Im almost toward the end of my Avatar activation sessions and I feel that my meditations are deeper and in my day to day life I can let go of things that doesnt serve me anymore. He said that he felt like forgiving everyone and being stree free. I want to say a big thank you to Jaye and multi million blessing to him to be so professional and flexible in terms of making appointment or changing appointment and being so generous and kind in terms of answeing any question even though some questios are outside the healing and its more like a counselling. When I connected with you just under a month ago, I was in a place in my life that felt trapped and discordant. Things didn’t make a lot of sense. My day to day was a monotone, as a student parent and solo mother. It has been almost 10 years since my last healing experience. 10 years on I feel completely separated from myself, I found your website and contacted you via facebook. Thank you that you took your time to answer my questions and even make the time to speak with me. My first meeting with you spiritually gave me a sense of lightness and was vibrationally changing. I could see that where I was at this exact point in time was so dense and reflected my feelings of entrapment. Matrix Unplugging. I am so grateful that you explained my sensations and how you explained what I didn’t feel was normal as sometimes my higher self allows me to not sense the work as its being done. I came back to consciousness just after you had finished the session as if I was wide awake- Brilliant. different manner and noticed that I had sparkly eyes. “You have sparkly eyes mummy” he said! I smiled because confirmation of change comes from the most unexpected places. I have in the past struggled with my weight and today I have noticed that I feel so much lighter its only been 5 days since the Chakra and Kundalini removal but there is noticeable movement in the spiritual space around me. I remember feeling very disorientated the day after the session and again you were at hand to support the session and after care, when events within my sphere took place instead of feeling vulnerable, I felt protected and so much stronger. WoW. So, much has happened in this short month I embrace the feeling of space, place and presence that surrounds me. I appreciate that every journey is a unique process that can at times be quite challenging and there are questions and emotions to understand. I am grateful that you have accepted to support and facilitate my journey at this time space in our life. I look forward to the next steps of vibrational healing for myself and my little one. Its so exciting and who I was one month ago I can hardly remember. Jaye is hands down the most amazing healer I have ever worked with! As a Lightworker and an earth-based Starseed, I had been seeking to not only activate my DNA, but to get my Self totally activated for the upcoming Earth Gaia shifts… Also, I have known for a very long time that chakras are in fact implants from negative beings. I have been searching for a very long time for someone to remove my chakras, and I am so very happy I found Jaye! So far, Jae (and his high dimensional team) have completed about 75% of the Avatar Activation process on me… I am so far ecstatic with the process…and joyous with the results…. I strongly recommend that ALL Lightworkers, Starseeds, Indigos, Crystals, and Shamans…. as well as all earth-based beings and the Sidhe all work with Jae. Once Jae and his higher dimensional team begin to work on you, you will feel very blissful and happy most of the time! Also, you get healthier, and more prosperous during the astounding process… Jae is a one of a kind Master of Healing! Jaye Pause is a phenomenal healer! So far, I have had 4 different healings in the package – including the new “Mirror Shield Healing” – and I am totally wowed by the experiences thus far! 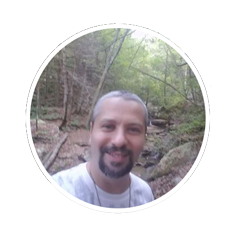 Jaye is very thorough and makes sure that he covers all healing issues before and after the healing: he is very vigilant with emails to keep in touch to make sure the healing went well with successful results. Unlike most healers I have worked with, Jaye’s healing can actually be ‘felt’ if you are awake during the healing: you feel cold wash over you and you feel items from the matrix and other cords being pulled off of you! I am about to get my chakras removed and I am very excited about it. All of the Services that Jaye offers are unique, and very necessary, for living upon New Earth Gaia. I strongly recommend his healing! I have greatly enjoyed and am continuing to benefit working with Jaye. I started with the J-Seals & Unnatural Implants Removal session and 12 Strand DNA activation (4 sessions total), I then moved on to the Chakra and Kundalini Removal to maintain my sovereignty (1 session) and just finished up the Golden DNA Activation (3 sessions total). So I have worked with Jaye remotely for 8 weeks. Each activation is different and felt different to me…..from heat, cold, pressure in my head, seeing colors, tingling and feeling light headed. I have noticed being a bit tired a couple days after the sessions and sometimes more emotional. I have had profound insights and am so curious as to what’s next! I am feeling centered and at peace. Jaye is extremely responsive, knowledgeable, helpful and dedicated to not only my ascension but all of humanity. THANK YOU JAYE! I am so glad we met at the appointed time.